"It seems as if the Cat Burglar has been coming and going in and out of the ghosty house! We should be investigating what she's up to in there, but that haunted house has a magic lock placed on its doors! I hear if we had the minister's ring we could unlock the place, but we can't just run up to Doctor Koru-Moru and borrow it from him, can we...?" I've tried going into the house (it's locked) and talking to the Doctor (he complains about me waking him up), but I can't seem to get anywhere. I know this is one of the ****** quests, but where did I goof? What'd I miss? 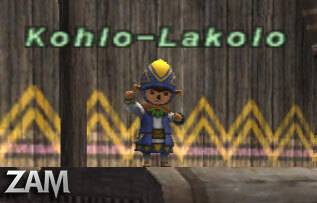 Go back and talk to Kohlo, it should finish the quest. jumpy little fellow, ain't he?